Baena, Victoria. "Treasure Island Symbols." LitCharts. LitCharts LLC, 6 Jan 2017. Web. 25 Apr 2019. Baena, Victoria. "Treasure Island Symbols." LitCharts LLC, January 6, 2017. 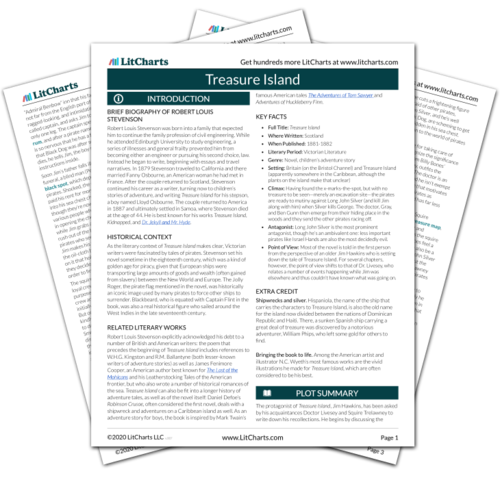 Retrieved April 25, 2019. https://www.litcharts.com/lit/treasure-island/symbols.